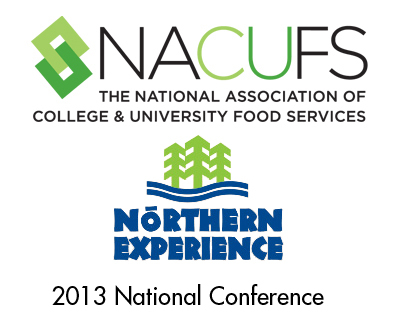 For more than 50 years, the National Association of College & University Food Services (NACUFS) has been supporting the college and university foodservice industry by providing members with the programs and resources they need to excel—from benchmarking and best practices to educational programming and professional networking. Along with four other sustainability industry experts, Lyle Peters, senior executive for the GreenDrop Recycling, will be participating in a speakers panel addressing Sports Venues – Defining Pathways to Greater Sustainability at the Northern Experience: 2013 NACUFS National Conference. The discussion will address the issue that no matter how good a student’s dining experience is at most college sports event or a residential hall, it often ends in a disheartening way when the diner finishes their meal and sees any packaging and leftover food get consigned to the local landfill. By contrast, professional sports teams and their venues are now successfully diverting food residuals and packaging waste streams from landfill to commercial composting, all while enhancing their guest experience and saving money. The panel will discuss the history and implementation of an effective recycling and composting program and it’s long term effects and goals.